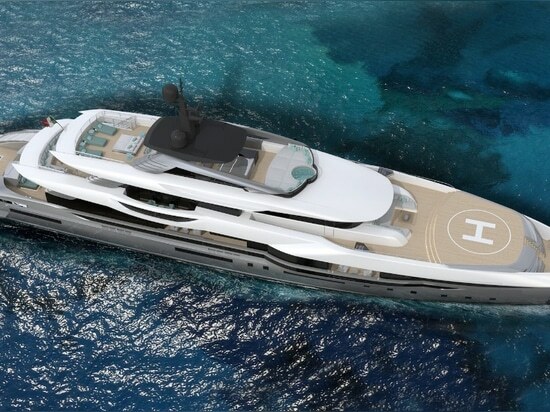 The 62m motoryacht Phantom is a new concept developed by Enrico Gobbi- TeamForDesign for Italian shipyard Rossinavi. 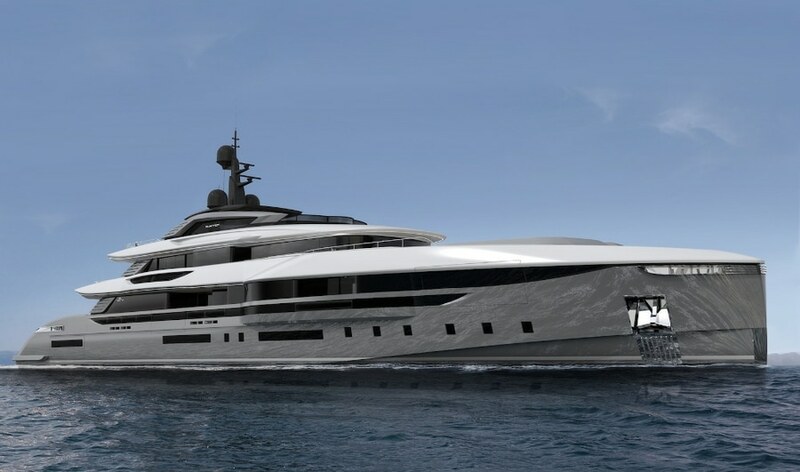 Due to be presented for the first time during the Monaco Yacht Show, it is an engineered project that is ready for construction. 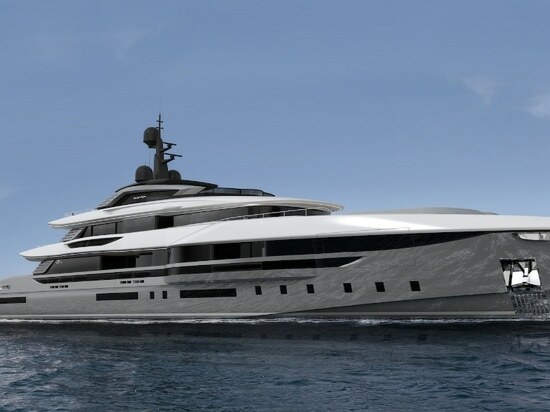 Sleek and bold exterior lines give the yacht a dynamic and sporty appearance. The continuous glass windows that are typical of Gobbi’s designs create a dramatic profile and ensure panoramic views from the main interior spaces. 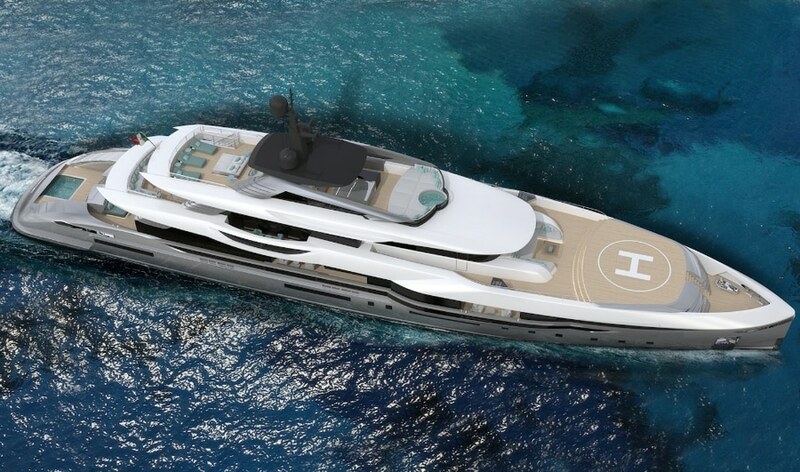 The master suite has a large balcony with wide floor-to-ceiling windows for uninterrupted views of the sea from inside.On the exterior, one eye-catching detail is the stern which features a central openable platform and infinity pool. 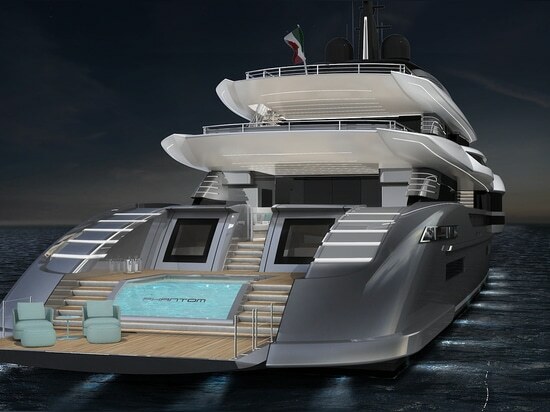 The exterior areas have been designed to offer various configurations. There is also a landing area for a touch-and-go helicopter. 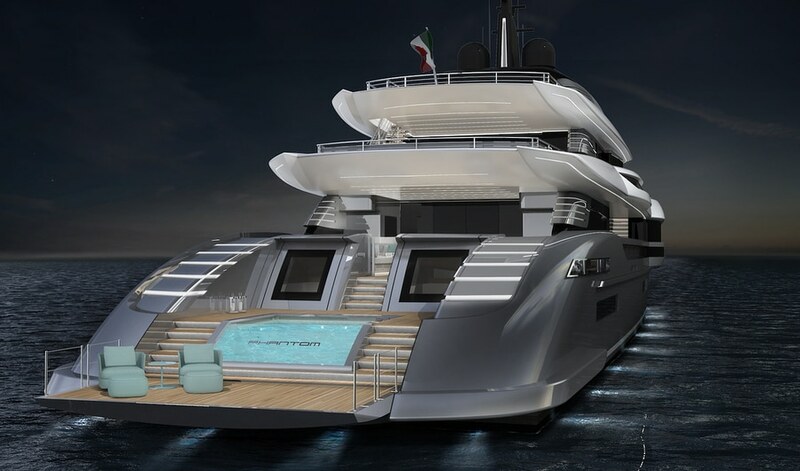 The studio describes the target buyer as a client who wants a fast performance yacht, with an emphasis on aesthetics and large outdoor spaces connected with the interior.